Are you an artist or film-maker looking for a way to showcase your short films? whitespace gallery in Atlanta, Georgia is currently accepting submissions for a series of short film screenings this summer. These events will be free and open to the public, with films being projected in our outdoor patio after dark. In an effort to showcase new artists, encourage experimentation with film, and grow the Atlanta art community, the subject-matter for the screenings will remain open. Accepted works will be divided into two groups and shown on either July 24th or August 21st. Artists will be notified of their screening date in advance. 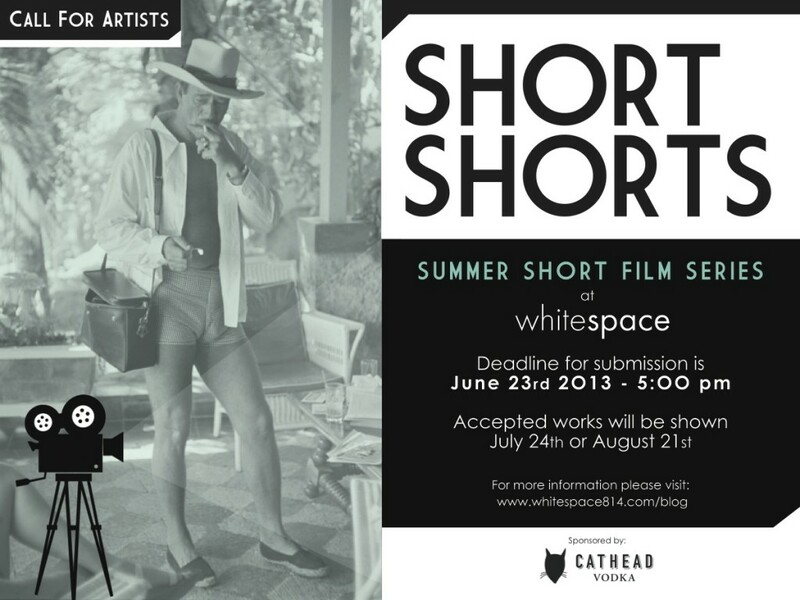 This entry was posted in Film and tagged atlanta art, call for artists, short film atlanta, short shorts, whitespace, whitespace gallery on May 10, 2013 by Whitespace.